Intimate and elemental, rooted in earth, sky and a mystic wisdom, the poems in James Scott Smith’s Water, Rocks and Trees are “hymns of / becoming.” Each is the “old soul” of the book’s first poem, the work of a gracious and trusty guide, observant, nimble, never didactic, ever an acolyte of the infinite. 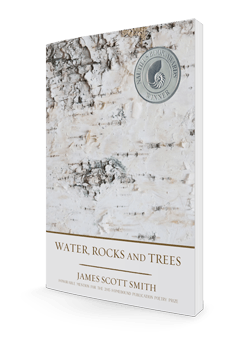 In his first collection of poems, Water, Rocks and Trees, James Scott Smith kneels and prays alongside creation, and becomes the utterance of the naked soul. 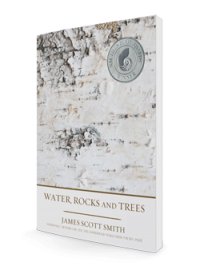 In his debut poetry collection, Water, Rocks and Trees, James Scott Smith explores our relationship to the natural world with a shamanistic sensibility. 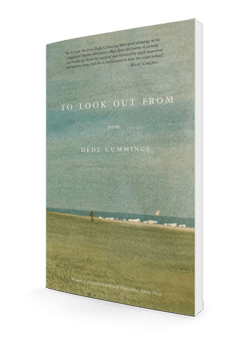 Smith’s yearning for connection, for a sense of belonging to the earth, the universe, permeates every poem. Whether describing the “death drop love dance / of the hummingbird” or the coyote with a “fresh kill of rabbit hanging / soft and surrendered in her mouth,” Smith revels in the intelligence and vibrancy of the more than human world. Here, man doesn’t conquer nature—he converses with it. It is a conversation I didn’t want to end. Lean and righteous. Those two words paint a coyote in one of these poems. But they could describe the entire collection. Herein are verses from a man who stays close to the ground—a walker, a seer, his vision paced but urgent, hungry. 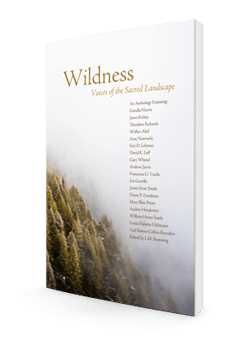 In the spirit of the ancient Tao, Smith’s poems in Water, Rocks and Trees, show the way and exhort us “to roll inside the great wheel, to turn with it, not against it.” In a courageous “new language of prayer,” these poems evoke an intimacy with all of creation and call us to remember what it might mean “to dwell, not merely live, in utter step with the time and space of earth. These poems seem to form concentric circles around a core that is in itself silent and solid, so primal and fundamental as to not quite be accessible by words. And yet the tight diction here, authoritative and resonant, spirals in very close, and we are guided again and again into an earthy mystery – stark wonderment at the sheer presence of things. To let your breath rise and fall through the poems of James Scott Smith’s Water Rocks and Trees is to walk with him under ‘fiery maples…over streets turned aisles/of cathedrals,’ to a place of sacred knowing where “we are the/ down in the kestrel’s wing, the claw of the ermine.” Inside this book, more than any other collection of poems, I felt my heart pulled back together with animal memory, drawing breath “out beneath the indigo,” under “the peppered sky,” where “my senses are the feet of Mergansers.” I gave myself to these poems and felt my prayers sink like ripening seeds into an earth simple and luminous, my body to the water, “in keeping with the ways of fish.” I carry away with me Smith’s reminder to “walk in the day as/ if all things must be/ touched and felt as real.” To walk through Smith’s poems is to feel as though, barefoot, your own feet might send down green shoots in a kind of strange and long-awaited homecoming. –Lori Howe, author of Cloudshade: Poems of the High Plains, and Voices at Twilight. Every morning for a month now, I’ve started my day with a poem from James Scott Smith’s, Water, Rocks and Trees, and every morning I’ve been graced with nothing less than a secular prayer that makes my day better, kinder, more meaningful. Fans of Mary Oliver will be drawn to Smith’s work, and yet, he is his own poet with his own voice and his own insights. 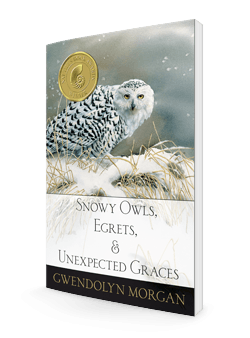 This is a book that can make the world a kinder, more compassionate place. In today’s world, this is a book we need. A magnificent work of word-craft and deep reflection. This feels like a renewal of the American Transcendentalist spirit: thoughtful, visceral, elemental, and wise. Water, Rocks and Trees is a book to cherish and grow old with, a book that returns me to nature and the things I love again and again.